The film begins introducing a young journalist who has not been able to crack any political scoop for her newspaper and therefore is being threatened with a transfer to the entertainment division. So the girl is desperately looking for a scoop, which she gets from an anonymous caller providing her the basic information about the sudden death of our second Prime Minister of India, Sh. Lal Bahadur Shastri in 1966, when he was on his official tour to Tashkent in Soviet Union. The girl grabs the opportunity right away and starts working on it as her much needed scoop to save the job without any sense of nationalism or any such kind of personal feeling. And the same gets proved for every single member of the chosen commission/committee later, who are all there for their own personal agendas and nothing like ‘thinking for the country, its people or its betterment in the future’. Ironically, the film too turns out to be the same in the end, serving no purpose at all, just made as a scoop with all baseless, not-proven allegations, which the makers honestly admit themselves repeatedly in the film through its various dialogues, format and most importantly ‘the last slide’ displaying an utterly confused vision. Following are the details how THE TASHKENT FILES proves to be a propaganda project made with a purpose releasing at a perfect timing as an informative yet loud, filmy, confused and unjustified film all together made on a borrowed format. Investigating the circumstances and reasons of the sudden, shocking demise of Sh. Lal Bahadur Shastri - the second Prime Minister of India, who was a prominent senior leader of Indian National Congress known for his honesty and ideals, the film no doubt has an informative value, since many from the present generation might not be even aware of such incident in our independent history. To be fair, THE TASHKENT FILES surely succeeds in pointing towards a suspicious political death and its mystery, since the mystery was right there and still remains debatable and doubtful even in the present era. So as a merit, the film certainly serves an important purpose of informing the young viewers, who haven’t read about the mystery before and have no idea that this actually happened with our second Prime Minister just after the Tashkent Agreement that formally ended the Indo-Pakistan war of 1965. 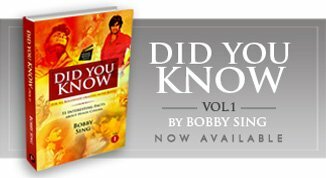 Moreover, the film also raises a very valid question that why 2nd October is widely celebrated and taught in the school text books as a national holiday for being the birth anniversary of Mahatma Gandhi, without any mention of Sh. Lal Bahudur Shastri who also shares the same birth-date? As added information to the young readers, would also like to mention the Minister’s important inspiring connection with Hindi cinema. Shastri gave India the slogan of “Jai Jawan Jai Kisan” which was also the one point reference given to writer-actor-director Manoj Kumar, when the PM requested him to make a film on the same, after getting highly impressed from his SHAHEED (1965) made on the life story of Bhagat Singh. The result was another cult-classic from Manoj Kumar titled UPKAR, which eventually released in the year 1967 post the untimely death of Lal Bahadur Shastri. As a tribute Manoj Kumar began the film with Shastri’s voice saying the slogan and also dedicated it to the late Prime Minister. A major part of the film revolves around a commission/committee of chosen members or a jury, that discusses every aspect of the death in a time-span of few days and gives its decision based on the majority of votes received. THE TASHKENT FILES follows the exact setting and treatment seen in 12 ANGRY MEN (written by Reginald Rose based on his own teleplay with the same title) or EK RUKA HUA FAISLA with various people in the committee coming from different background and age-groups with different temperaments resulting in repeated heated debates and verbal fights. As the committee begins investigating the decades old controversial case revisiting the history files following their own pre-prepared mind-sets, we get to see too much shouting resulting in a painfully loud film. Every key character starts screaming (post a cool start), as if his or her conclusions would all become ‘The Truth’ by shouting out loud speaking the heart out. Even reputed actors like Mithun Chakraborty are made to shout to the level of hamming and others are not given much to do including Pankaj Tripathi, Naseeruddin Shah, Prakash Belawadi, Vinay Pathak, Rajesh Sharma and Mandira Bedi, with only Pallavi Joshi making an impact. Sadly, Shweta Basu Prasad who otherwise does pretty fine giving an honest performance, unnecessary gets down to the same level towards the end and that too reaching no conclusion at all in terms of the case being investigated. Besides both the background score and the songs (used in the backdrop) maintain the same level of loudness after a few initial calm moments which becomes irritating after a while, especially in the second half. A young journalist of the present world starts investigating a death of a prominent Indian leader in Tashkent (then in Soviet Union) that happened back in the mid-60s. She gets all her information from Google and various books published by all retired people/spies of various world agencies and then also visits the present Tashkent city to get more details. Now wait, before you start giggling, even after half a century, she gets to meet the same secret spy of those times still alive and kicking in the same city of Tashkent and he easily tells her all the relevant details too just like that. Interestingly, the information of her meeting with the spy is also there with the present Indian authorities too and THEY know it all. Next, the girl also gets to meet another prominent man involved in the early investigations of the case in those past decades, who is now a Buddhist monk and who comes all the way to hand over his unpublished secret manuscript with all the details about the death to the now famous young journalist. As soon as he hands it over to her a bus comes and crushes him on the road right in front of the girl with no further investigation by the authorities of any kind. So even if the man had become a monk, THEY knew everything about him and his secret manuscript too but still didn’t do anything to take it away. These are just a few examples in the story progression of the film and there are a lot more in the second half, which are nothing but silly cinematic liberties taken considering the viewers as amateur movie-goers or not capable of thinking. Why It’s A Pretty Confused Propaganda Film? To be honest, the film repeatedly gives you hints of being a propaganda film in its own dialogues very clearly before it all goes down to plain slandering of the immediate political successors (post the controversial death) in the last 30 minutes taking the viewers for granted. "It's not about Shastri. Let’s pin down the government. We have the scoop"
“I did this all for my next MUDDA ... in the upcoming elections. Welcome to the world of Politics"
Now one certainly needs to applaud the honesty with which the real purpose of the film was revealed by the makers in the film itself. Anyway, THE TASHKENT FILES also is a pretty confused ‘hurriedly made to order’ product, which doesn’t have any clarity about what it wishes to say or convey to the audience in its painfully lengthy narrative. For example, along with the investigations about the death of Lal Bahadur Shastri, it even gets into the widespread theories around Subhash Chandra Bose’s death and tries to prove that he never died in the crash and was still alive for many more years also giving the reference of Gumnami Baba. And the mention simply vanishes after a few seconds, just like that, without any logical conclusion. A person in the jury is only interested in the case as the last person who gave food to the PM was a Muslim and he wishes to bring that fact forward disclosing his truly racist and rotten thought process. He rightly gets a strong answer in response from Mithun -the chief of the committee in the end. In one particular sequence, the film strongly points towards the addition of 'Socialist' word to the preamble of the Constitution during the Emergency as the 42nd amendment, but chooses not to say anything about the word ‘Secular' and ‘Integrity’ added to it too in the same amendment. Giving half or selective information to the viewers is an important feature of a propaganda project without any doubt. Further the makers are again not really clear whether they are in favour of India becoming a global power in the present world with all kind of technological developments or not. “They will kill us with their colas, fries and burgers”. Can’t say the makers are in favour of modernisation and foreign investments coming to India or not. Above all, would like to mention the most solid and logical reasoning for the film being called a confused, propaganda project made with a motive and that too as a half-baked, badly cooked food not satisfying any kind of hunger. If you are a lover of investigative or conspiracy documentaries made all over the world, then you must be familiar with their exact format of how they try to prove their point with many real shots, clippings and interviews of prominent people supporting their specific viewpoints or revelations. But if you are not familiar with any such stuff then would like to inform that the world is full of such interesting conspiracy stories that are capable enough to make you sit back and think …… think hard. Giving you some references, there are films stating the truth behind the two World Wars, the truth behind Vietnam War, Iraq War, films claiming that no one ever stepped on the moon and it was all staged, films stating that the 9/11 was an attack planned by the American government itself, films revealing how electric cars were deliberately stopped from coming into the market and many more. But these are all intelligently made documentaries with all real life facts, mentions, statements and interviews supporting their revealing viewpoints. On the contrary here in THE TASHKENT FILES, director Vivek Agnihotri does two things together damaging and contradicting his own product and its motive. What he does is that he mixes fiction and real life references together coming up with a literally confused project, which on second thoughts, might have been possibly made in this particular style to intentionally confuse the viewers. Giving you the details, at one end, Vivek uses real documented shots of Shastri’s death, the dead body along with actual interviews of his family members, government officials, activists and political figures talking about the real events as officially recorded by the then authorities both in Russia and India. But on the other, inserts completely fictionalised account and characters of the real spies, whistle blowers and journalists/authors of those times still alive and meeting the main protagonist in a typically filmy manner like a thriller novel. Now you cannot mix both these completely contrasting elements just to fool the viewers in the name of a significant attempt searching for truth. If you are really in search of truth, then keep it entirely real with all real life references and statements as done in these kinds of films mentioned above, talking about controversies and conspiracies as it is. And if you are interested in making a fictional account of the mystery, then keep it entirely fictional as a movie based on a ‘still to be solved case’ like a focused crime-thriller made to entertain as well as enlighten the viewers smartly pointing towards a mystery still lying unsolved in the country’s history. However when you knowingly mix both these forms together, using the exact names, pictures and clips along with pure fictional characters who don’t exist, then it all becomes a clear propaganda attempt with a set motive and nothing else. Why The Film Turns Out To Be Surprisingly Irresponsible And Unjustified In The End? 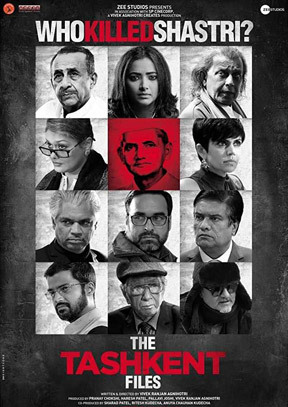 Now this one is a real cracker, as the moment film’s narration comes to motive behind the sudden death, it strongly starts pointing towards the largest party and its leader, the next prime minister without taking any names, which possibly were not there due to the restrictions made by the censor board. In these last 20-30 minutes, the makers go on adding exact references and quotes taken from books written by ex-spies of agencies like KGB with the sole aim of slandering Shastri's successors talking about the events of the 70s. And it’s here that you suddenly realise that what was the real purpose of the film using Lal Bahadur Shastry’s death as a mere ploy and nothing more than that. In other words, just think for a while that if the film was specifically made on the mystery of Shastri’s death that happened in January 1966, then why it so strongly remains interested in taking about all the events of the 70s happening a decade later? What emergency imposed in 1975-77 had to do with the mystery of Shastri’s death that happened a decade before in 1966? No doubt these mentions were clearly there for a purpose of deliberately establishing a link, putting all the blame on the successors, only on the basis of books written by ex-spies that can be easily bought on Amazon. But wait…… after making all such allegations through characters shouting at the top of their voices, the makers make more revelations in text slides with clear mention of key politicians (with the names hidden) quoting from the same book. “All these allegations have not been proved” ........before fading away. This one slide truly makes the entire film look irresponsibly funny, simply walking away saying we just said it, as they said it….. but these are not any proven facts. In fact the makers very well knew that nobody here reads the end credits or the last slides and most of the viewers would already be out of the theatre when the final slide of ‘Nothing is proved or verified’ will be shown. Putting it differently, for a moment just imagine if someone boldly declares a person a murderer, shouting loud in front of a gathering with full conviction and confidence. And then later quietly whispers “There is no proof or verification for the same” after a few minutes. Then will that claim be valid in any form or of any value at all? Besides THE TASHKENT FILES turns out to be an unjustified film too, since it doesn’t end with anything related with the mystery behind the sudden death of Sh. Lal Bahadur Shastri in 1966 simply forgetting about it in the climax. Strangely the film ends with all the references that are not related to the suspicious death at all. It ends talking about the events happening in the next decade post Shastri’s death, which clearly shows that it wasn’t really made as an attempt to inform the present generation about the mystery at all. It was purely made with a different motive, exploiting the subject of Sh. Lal Bahadur Shastri as a tool to say some other things. On a concluding note, this could have been a great film talking about the shocking event in the history of our independent India, but the makers missed the opportunity due to their own reasons. However the film still can play an important role as a means to begin your own search and research on the subject if you have not read anything about the same and know nothing about the death of our second Prime Minister. But in case, only getting the right information is your purpose, then go for the more precise and informative docu-drama at ZEE5 titled “Lal Bahadur Shastri’s Death” directed by Jyoti Kapur Das, which strictly talks about the day of his death, the events, the first-hand accounts of people of those times, showcasing the actual footage, simply pointing towards an unsolved mystery of our independent India’s history without any slandering and purposeful pointing towards the successors. The docu-drama is just 15 minutes of duration and is a far better and straight forward take on the subject giving you the complete information with the sole motive of responsibly informing the viewers without any hidden intentions. May be the film was conceived getting inspiration from this well-made, must-watch 15 minutes of a valuable docu-drama.